πESA concept is based on the Driver–Pressure–State–Impact–Response (DPSIR) framework. Based on the chain of causality, πESA links human-caused drivers (use of primary energy sources) to pressures on the environment (emissions), changes of environmental states (air quality, human health) and eventually responses to correct the situation (constraints imposed on energy scenarios). Drivers, Pressures and Responses are addressed with the use of the energy-economic models. States, including the level of ambient air concentration and deposition of pollutants, are covered by Polyphemus – which is a full system for air quality modelling. 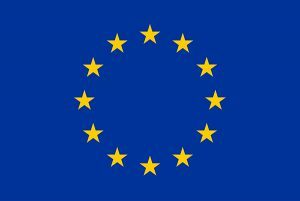 A Module for Assessment of Environmental and Health Impacts (MAEH) is developed to estimates the Loss of Life Expectancy indicator (LLE), which was found suitable for the comparative analysis of energy scenarios. LLE relates people exposure to PM2.5 concentrations with the number of years of life lost and is often used as a proxy for quantifying the overall impact on a population’s health. πESA is comprised of three components: (i) energy-economic model, (ii) Polyphemus – an air quality modelling system and (iii) MAEH – a module for assessment of environmental and health impact. Originally, πESA uses TIMES-PL as an energy-economic model but the use of other models is also possible. The main role of energy-economic model is to develop energy scenarios. Subsequently, for each energy scenario such model calculates emissions of air pollutants such as i.e. SO2, NOx, PM and GHGs based on fuel-specific and technology-specific emission factors. Polyphemus is a complex modelling system for air quality. It contains three types of dispersion models: Gaussion, Eulerian and Lagrangian. In πESA settings an Eulerian chemistry-transport-model called Polair3D is used for both gaseous and aerosol species. Polair3D tracks multiphase chemistry: (i) gas, (ii) water and (iii) aerosols. The transport driven by wind is approached with the third order direct space time (DST3) and the piecewise parabolic method (PPM). Gas-phase chemical scheme is RACM (also other chemical schemes e.g. CB05, RADM 2, Melchior are available). Aerosol chemistry is treated depending on the cloud liquid water content. Inside clouds, aqueous-phase chemical reactions are modelled using the Variable Size-Resolution Model (VSRM). Outside clouds, a size-resolved aerosol model (SIREAM) treats the effects of condensation/evaporation, coagulation and nucleation upon the particle size distribution. The ISORROPIA module is used for inorganic aerosol thermodynamics. Health impacts of MAEH are limited at present to people’s long-term exposure to fine particulate (PM2.5) air pollution MAEH uses an algorithm for the computation of the Loss of Life Expectancy indicator (LLE) that takes into account temporal variations in PM2.5 concentration during people lives. The MAEH algorithm employs the Cox proportional hazard model and accounts for the exposure Relative Risk parameter (RR). The Cox model postulates that changing the stress variable (here the change in PM2.5 concentrations) is equivalent to multiplying the hazard rate (here the mortality rate) by a proportionality factor, here RR. Losses in statistical life expectancy are calculated for the modelling time period assuming a 95 year lifespan of the cohort, who is currently aged 30 in the year 2010.
πESA will be used to calculate changes of environmental states in relation to air quality and human health for different energy scenarios that will be elaborated in the project. These will include concentration and deposition maps of SO2, NOx, PM, Hg as well as health impacts of people’s long-term exposure to fine particulate (PM2.5) air pollution by computation of the Loss of Life Expectancy indicator (LLE ). Comparison of health impact of decarbonisation scenarios for EU energy system till 2050 (ESA², 2013). 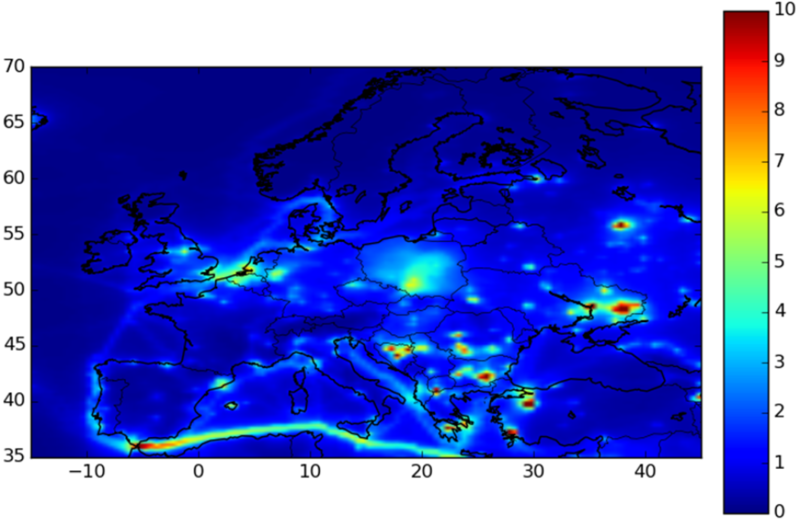 Modeling of atmospheric concentration and deposition of air pollutant and heavy metals over Europe (Zyśk et al., 2015). Health impact assessment for selected scenarios of the evolution of the power system in Poland placing emphasis on the health impact assessment (Wyrwa et al., 2014). Analysis of the impact of changes of fuel and carbon prices on the power generation mix in Poland considering the health impact (Wyrwa, 2015). ESA² (2013): Shaping our energy system – combining European modeling expertise, Karlsruhe: Energy System Analysis Agency (ESA²). Wyrwa, A., 2015. An optimization platform for Poland’s power sector considering air pollution and health effects. Environmental Modelling & Software (In Press, Accepted). Wyrwa, A., Janusz, Z., Mirowski, T., 2014. Assessment of environmental impacts of energy scenarios using the PIESA platform, E-science on Distributed Computing Infrastructure: PLGrid Plus. Springer- Verlag GmbH. from the Power Sector in Poland. Atmospheric Environment (In Press, Accepted).